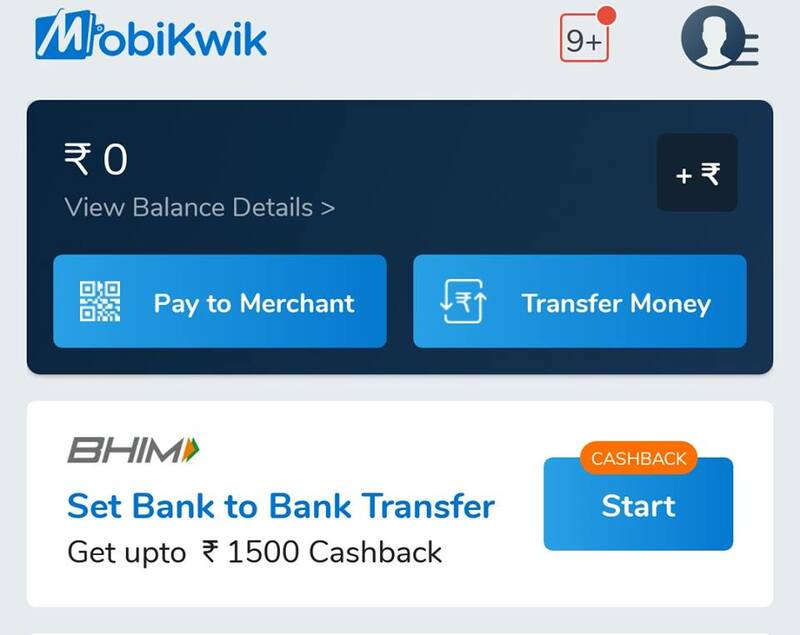 Hey Guys , after BHIM UPI & PhonePe UPI Offer Mobikwik is also Come with Up to Rs 1500 Extra Cash back offer on Mobikwik first UPI Transfer offer . In This offer You Get up to Rs 100 extra cash back By sending Rs 5 or more every time. Guys This is Very Good Offer as you all ready looting BHIM and PhonePe UPI Offers where You getting Rs 750 extra cash back on each UPI payment same like this offer by PhonePe where they Get extra cashback each time UPI Transfer and First time Phonepe user getting lots of benifits. 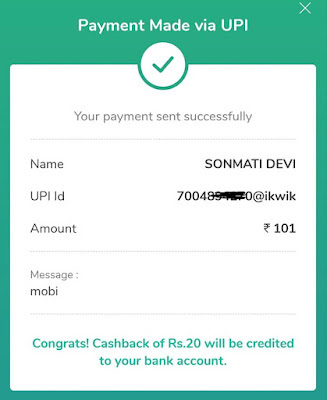 What is Mobikwik UPI Offer ? 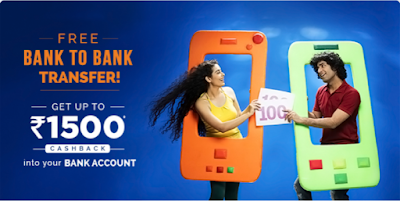 So Guys , In this Mobikwik Offer Mobikwik Giving up to Rs 1500 cash back in your Bank account . For this You have to first Link your Bank account to Mobikwik and generate Mobikwik UPI ID after Linking UPI To Mobikwik You have to send Rs 5 or more to any Mobikwik UPI Id . 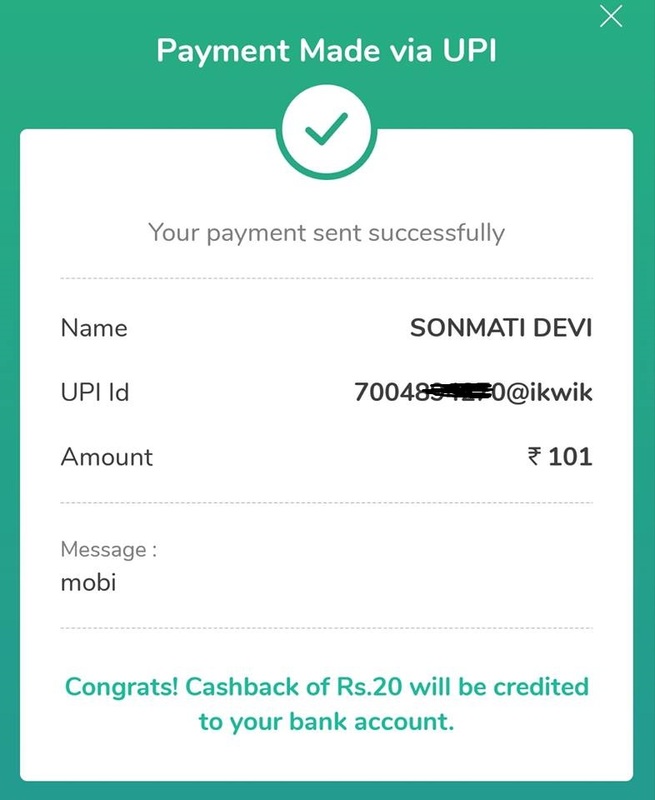 As You send Your Fund You will Get instantly Cash back Up to Rs 100 on each Transaction up to first 15 times .Which means you get Up to Rs 1500 cash back on your first 15 mobikwik upi Transfer. Open Your Mobikwik App and Login in it. Do KYC if You first timer or not done Yet. 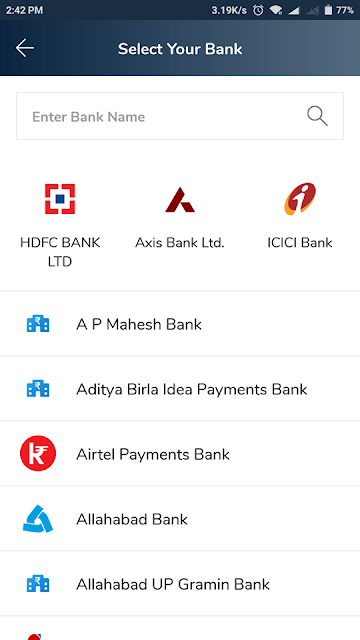 Now On Home Screen You see BHIM UPI banner click on it. Now Search Your Bank account in the list. And select it and Give Permission to Verify it. As your Account Verified You are ready to enjoy Rs 1500 cash back. Now ask your Friend Mobikwik ID and send him Rs 5 or more. As You send Your first UPI you Get up to Rs 100 Cash back instant . This cash back will Credited back to Your bank account. 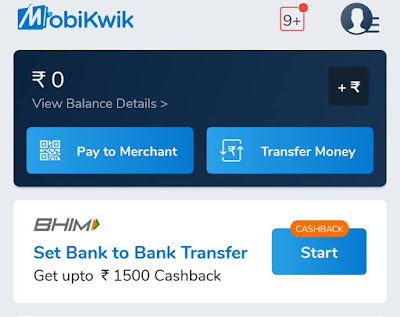 You can repeat this step 15 times each time new Mobikwik UPI ID to get Rs 1500 cashback. You can also Use Paytm Payment Bank Account to Use this offer. 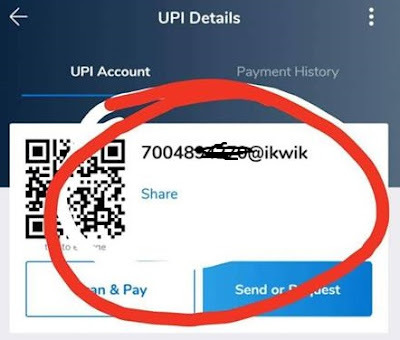 Send Fund Only Uniqe Mobikwik Id with maximum Fund to get Maximum Cash back. Get upto Rs.1500 cashback into your bank account on your first 15 UPI transfers to MobiKwik UPI IDs. Offer is valid on money transfer of Rs.5 or more. Limited period offer. offer source is here.